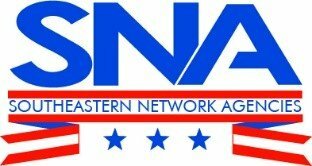 Southeastern Network Agencies (SNA) is a group of professional independent insurance agencies located throughout Georgia. We leverage our collective strengths to create advantages well beyond the reach of individual agencies or carriers. Founded by agents for agents, we are committed to stay independent and grow together. Partner agencies enjoy unprecedented growth as well as increased operational efficiencies, higher commissions and profit sharing revenues far beyond what can be generated as a stand-alone agency. Each SNA partner agency has ownership in the company. Our partner agencies offer their clients the best of both worlds; the product offerings, market clout and services of a large regional insurance brokerage combined with local expertise and personalized service. All while maintaining complete independence.